This is part 2 of a 3-part series that started on Friday, July 22nd. Over the next few Daily's, we're going to report on this new approach to ORC which began last April and has had a lot of success. Today, we're presenting the first of two actual busts. 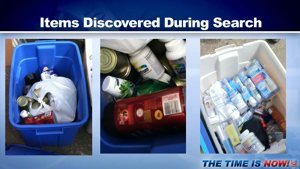 Approximately one month ago Seattle Police Department received credible information that several boosters were selling stolen product such as Taster’s Choice, Spam, and corned beef hash, at a residential location in the South Seattle area. By utilizing a confidential informant, several sales of “stolen” coffee, Spam, and corned beef hash were conducted to the subject who was later indentified as Cabalar, Rosita and her husband, Cabalar, Gilbert. Both of the Cabalars are employees of the International Drop In Center (IDIC) and some of the sales took place at this location. In addition to the Cabalars buying stolen product, three additional employees of the IDIC were involved in the purchasing of stolen product, (1. Cabebe, Edwin 2. Campos, Edwin 3. Campos, Eduardo). On June 28, 2011, two search warrants were executed and two consent to search locations were ascertained by the Seattle Police Department. In all, five persons were arrested and taken into custody for trafficking stolen property. The search warrant yielded approximately 200 containers of Taster’s Choice Coffee 7oz valued at estimated $2,400.00 retail. 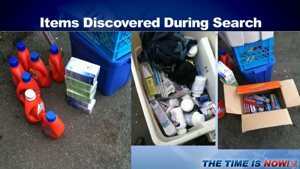 After obtaining consent to search at eh Campos residence, two storage lockers and another business, The following items were located; Tide Liquid Detergent, Dove Soap, Centrum Silver Vitamins, various toothpaste, razorblades, shampoos, body wash, sardines, Spam, Taster’s Choice Coffee, lotions, batteries, and electric toothbrushes. Many of these items still had branding labels still affixed to the product. The total estimated recovery at the Campos residence is valued at $2,500.00. Campos admitted that he would buy product for an estimated .10 to .15 cents on the dollar depending on the product. 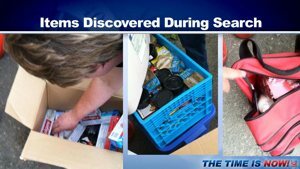 Campos stated that he was reselling some of the items in his business (bait and tackle shop) which was located on the pier but the majority of the product he was shipping to family members who reside in the Philippines. Read Part Three in Tuesday's D&D Daily.